Canada made a winning start to a two-match series against Costa Rica. Canada made a triumphant return to Investors Group Field in Winnipeg to take on 30th ranked Costa Rica. Canada got off to a quick start with an early goal thanks to 19 year-old Jessie Fleming. 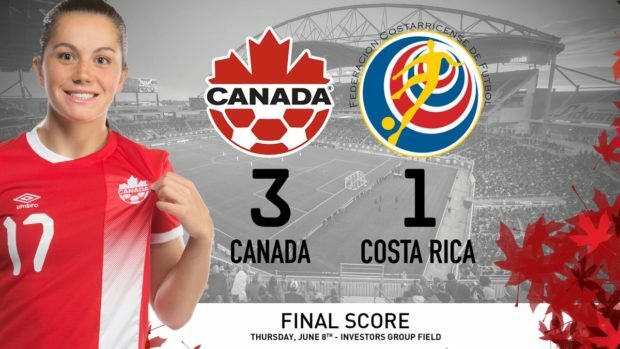 Christine Sinclair scored a second half goal from the spot, and Canada added a late insurance goal from Adrian Leon to win 3-1 in front of a crowd of 14,434. 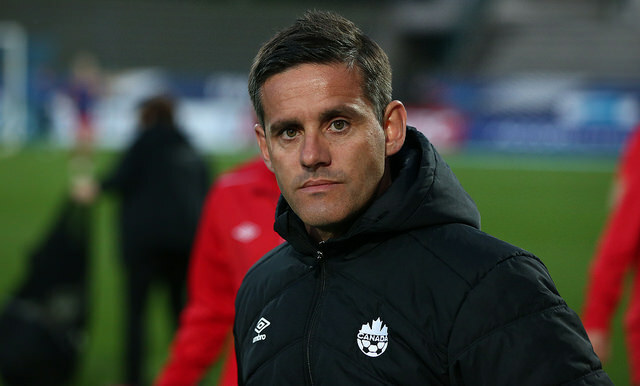 John Herdman elected to start a heavy first team lineup with a high tempo 4-3-3 formation. The quick pace worked to perfection just 3 minutes in. Jessie Fleming nicked the ball off Costa Rica, and raced past a pair of flat-footed defenders before beating Costa Rica keeper, Noelia Bermudez. Christine Sinclair was buzzing all around the Costa Rica net in the opening 45. Looking to improve on her 167 goals scored, Sinclair had a brilliant opportunity to double the Canada lead. Ashley Lawrence broke down the right flank, and sent a cross into the box. 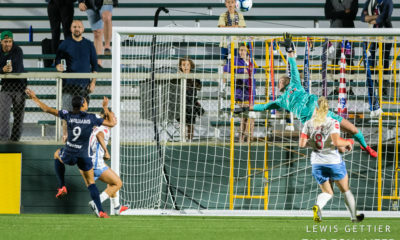 The Portland Thorns FC striker connected with a header, but her attempt went wide of the target. 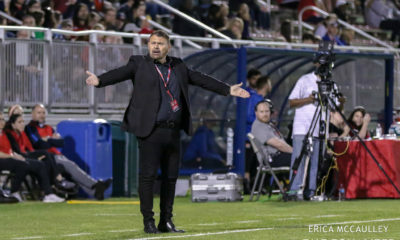 Canada was awarded a second half penalty, after Bermudez tripped up Janine Beckie inside the Costa Rica box. Sinclair stepped up and rifled the ball top corner past the keeper. 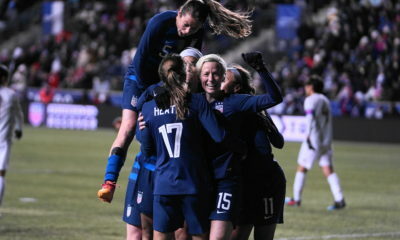 Canada was ahead 2-0 in the 51st minute. Costa Rica quickly cut the Canada lead in half with a goal of their own in the 56th minute. Some sloppy defending with three at the back resulted in a scrambled defensive play. Desiree Scott attempted a back pass into her own box that was picked off by Costa Rica. Diana Saenz was left unmarked in front of goal and easily converted on a vacated net. The visitors had a renewed second half focus, and Canada was unable to dictate play as they had in the first half. Costa Rica was causing trouble in Canada’s half, and Herdman’s unorthodox three-at-the-back strategy offered mixed results. 16 year-old Jordyn Huitema earned her first career senior cap. The Chilliwack, B.C. native replaced Sinclair in the 79th minute, and offered a spark off the bench. Canada was creating chances, but finishing in the final third remained difficult. Boston Breakers striker, Adriana Leon had a pair of fantastic opportunities to score. Leon was sent in 1v1 on Bermudez, but the 22 year-old, Costa Rican keeper managed to get her left leg on Leon’s shot. Leon also had a terrific attempt at a cross into the box, but her diving header came up short. Deterred she was not. Leon was determined in wanting to score, and that she did in stoppage time. She cut into the Costa Rica box and had her shot denied. She kept with it, and an eventual rebound found her unmarked. She blasted the ball past Bermudez. Canada started out like gangbusters in the opening minutes of the match. They dominated the first half, but really failed to put Costa Rica away. They let Amelia Valverde’s side stick around and Costa Rica made things interesting. Leon put the breaks on any possible Costa Rica comeback, and Canada proved to be just too strong on the day. Canada prevailed with a 3-1 win, and both teams will now shift focus to Toronto for a rematch on Sunday afternoon at BMO Field. Kickoff goes at 2:00 pm E.T. "It was an incredible evening." Notes: This was the first win for the Canada’s Women’s National Soccer team in the city of Winnipeg.